Awhile back, I talked about how I've grown to hate shopping. Specifically, I felt I'd lost my sense of style. While I've worked on building my closet with staple tops and classic jeans, there's something to be said about building an outfit around accessories. When it comes to jewelry, I'm typically a repeat offender. Stud earrings, dangle necklace, simple bracelets; most all gold with maybe a pop of color. 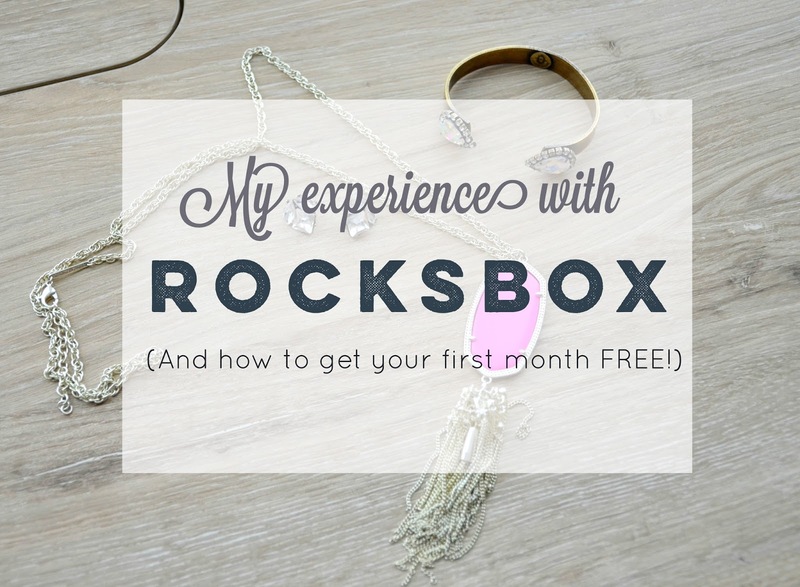 I don't venture much out of my comfort zone, so when Rocksbox reached out to me about trying their service, I jumped at the chance! 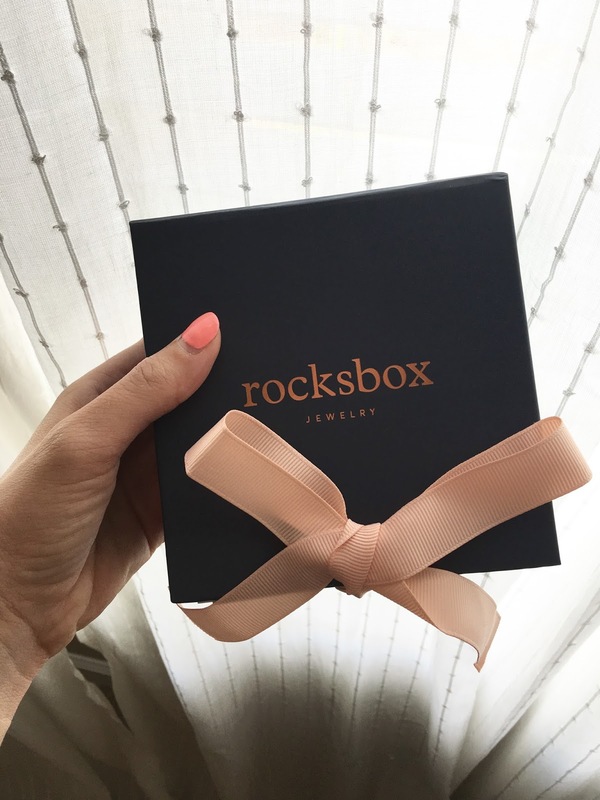 Rocksbox is a membership jewelry service that delivers three pieces of designer jewelry straight to your door each month (with free shipping both ways!) for just $19 a month. You're also offered a discount for any jewelry you'd like to keep! After filling out a quick survey, you're paired with a stylist that handpicks your pieces, and even adds a personalized message to your box. You can also add your Instagram account to your profile, follow +Rocksbox, and comment #wishlist under any photo of a piece of jewelry you like! Your stylist will see it, and you may get it in your next box. I actually just received my second box, but this will be a quick recap of my first! 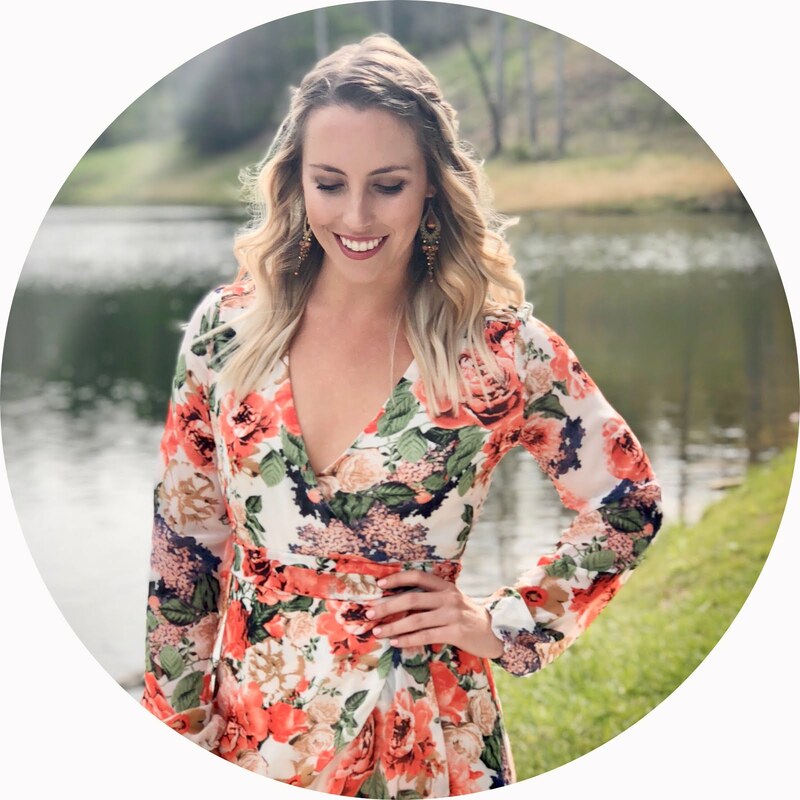 I've been ogling Kendra Scott jewelry for months, so I made it a point to request one of her Rayne necklaces...and that's exactly what I got! To be honest, hot pink wasn't my first choice...but I wore it with everything. If I wasn't trying desperately to save money right now, I would have absolutely jumped at purchasing this one. I still plan outfits around it and I don't even have it anymore! First world problems. My next piece was a Loren Hope cuff bracelet. I absolutely adored this bracelet (even though it was a little awkward coming on and off). It was the perfect addition to any outfit, and enough statement to wear it alone. Finally, the stud earrings. For some reason, I wasn't super excited about these when I first took them out of the box. But much like the hot pink Kendra Scott necklace, I got a lot of wear out of these, and I'm definitely regretting not purchasing them (could have gotten them for just $22!). Overall, I was really pleased with my first Rocksbox! I already love my new pieces from this month's box, and I'm excited to see what's up next. Want to try it for yourself? Get your first month FREE by using "SAMANTHAROSEXOXO" at checkout! I love that you ended up falling in love with something you wouldn't have picked for yourself! Same! I was really surprised, I never gravitate toward pinks.